Hawaii, I'll be honest...I'm extremely jealous. I'm getting close though. I've been saving my pennies (well really my dollars) and I'm hoping to go next summer. In the mean time, I am checking out books from the library learning more about the wonderful islands that make up the great state of Hawaii and planning out my trip. 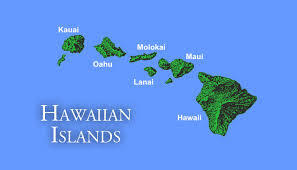 Hawaii didn't become a state until August 21, 1959. It's nickname is the Aloha State. Hawaii is the only U.S. state to grow coffee. Hawaiian and English are the official languages of Hawaii. There are 13 characters in the Hawaiian language. 5 vowel, 7 consonants (h,k,l,m,n,p,w) and the apostrophe. Hawaii does not observe Daylight Savings Time. The Big Island is the home of Mauna Kea, Mauna Loa, one of the largest and most active volcanoes on earth. 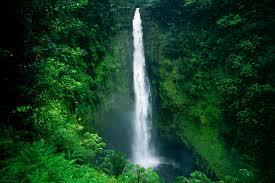 The islands contain rainforests, waterfalls, volcanoes, and beaches with green, black, red and gold sand. It takes nine hours to get to Hawaii from Chicago on a nonstop flight. If you're interested in Hawaii, come on in and grab some books on it. The library also has Hawaiian music to get you in the Aloha mood. Since Hawaii is an island, perhaps you'd like to know more about other islands. We've got plenty of those kinds of books too. It's always fun to learn a little geography and know about other great place around the globe!